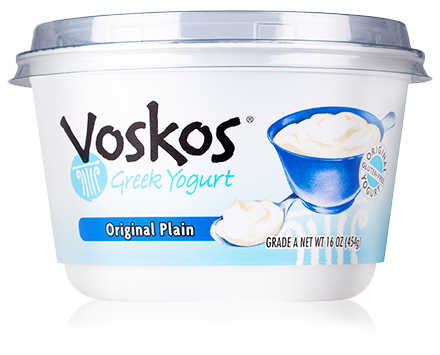 The pumpkin filling in this Thanksgiving classic is thick and creamy because of the rich smoothness of VOSKOS® Greek Yogurt. Dashes of cinnamon, ginger and cloves enhance the pumpkin pie flavor and are the perfect complement to the lightly sweet graham cracker crust. And with cinnamon whipped cream on top? It’s destined to be the new family favorite. Preheat oven to 300°F. In a large mixing bowl, combine the pureed pumpkin, VOSKOS® Greek Yogurt, brown sugar, salt, cinnamon, ginger, and cloves and whisk together until thoroughly blended. Stir in eggs and vanilla. Whisk until blended. 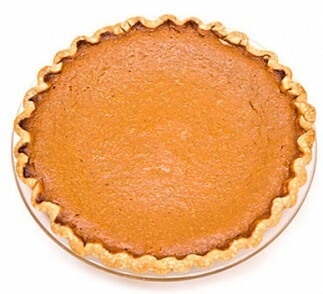 Mound the pumpkin mixture into the pie shell and jiggle the pan gently to help it find its level. Bake for about 1 hour, until set in the center. Cool completely, serve with cinnamon whipped cream. Using an electric mixer, mix until heavy cream creates stiff peaks. Add a dollop of whipped cream to a slice of pie or spread over entire pie and serve.